This fireplace was too good not to share. That mantel is the look that I am eyeing for our fireplace mantel in our living room. Something simple, but with great texture and a slightly rustic quality to it. AndI am loving that tile too, the color and pattern give a fun focal point in the mostly white room, but the faded finish keeps it from being too loud. It's a great accent in this room! 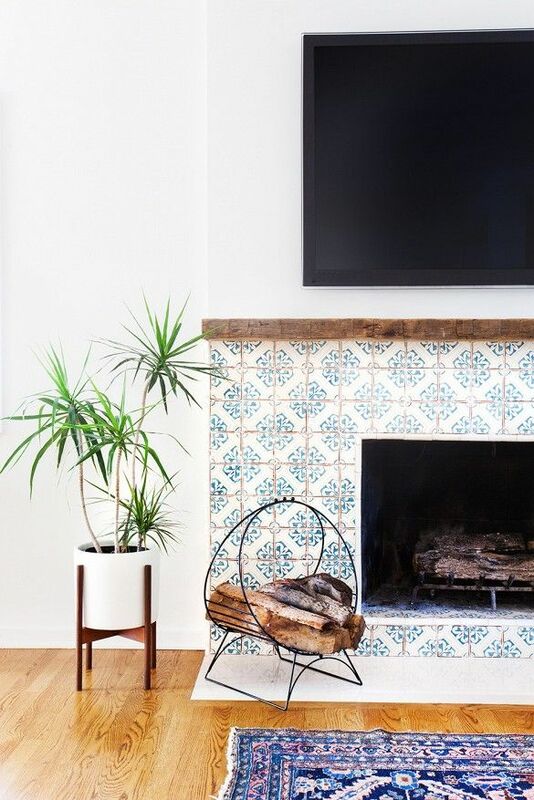 What do you think, yes or no to patterned tile on a fireplace?